And let me just say — paper mache sounds intimidating. But it’s totally doable. All you need is your basic white flour and water. That’s it. Promise. 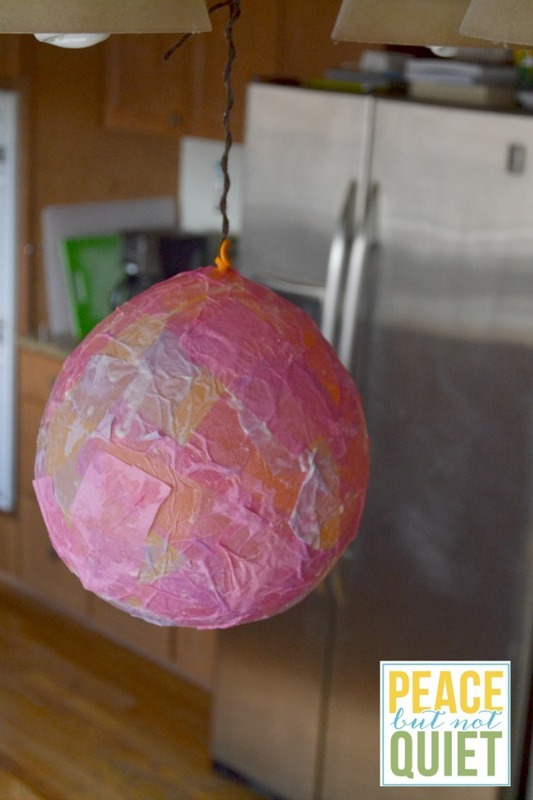 It takes 24 hours for the paper mache to dry, but the process itself is so simple. Mix flour and water in a shallow bowl until no lumps remain. 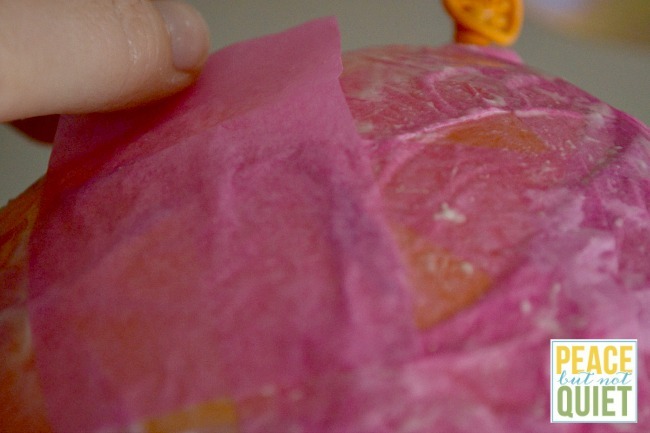 Dip tissue squares in mixture and drape on your balloon. Cover your balloon entirely. 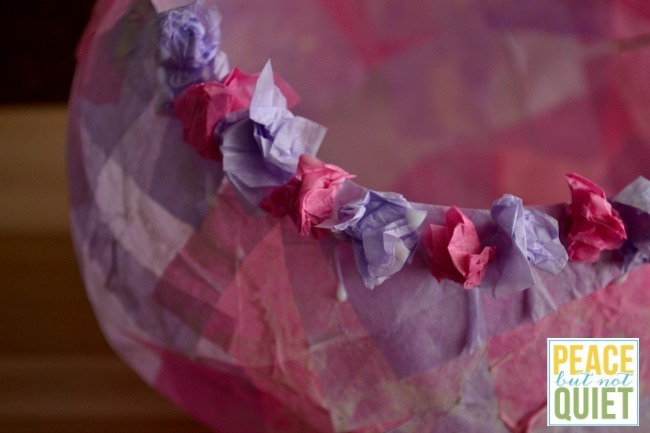 Since tissue paper is thin, you may want to do two layers. The more layers you do, the thicker your egg will be (thought I wouldn’t do more than three, because it will be hard to cut through the next day). Tie your yarn around the end of the balloon and hang it somewhere to dry overnight. We tied ours to our kitchen light, but you could do a closet rail or a banister or anywhere it won’t be disturbed. 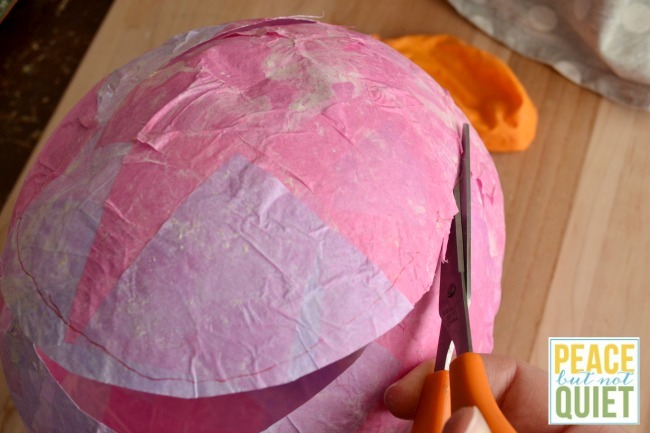 After 24 hours, when the paper mache is dry and the balloon feels hard to the touch, cut the balloon knot and deflate it. Draw a circle on one side and cut it out. 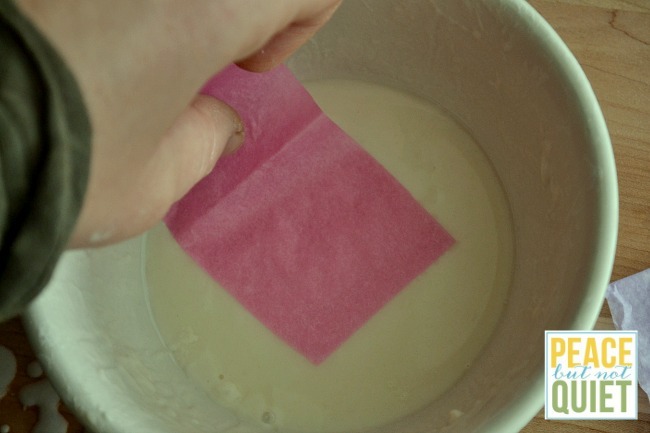 Pour a small amount of school glue in a bowl. Take more tissue squares, crumple them into little balls, dip them in glue, and add them around the edge of the diorama opening. Let your egg dry, and fill with Easter grass. 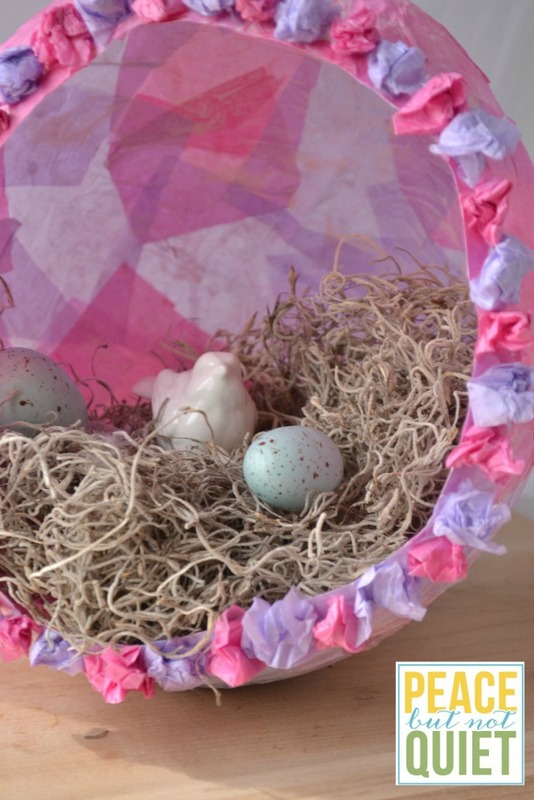 Decorate inside with small bunnies or animals, Easter eggs, figurines, or whatever you want in your diorama. And have fun playing with it! The best part is that since they’re easy and cheap to make, you don’t need to worry too much about the kids destroying it. In fact, you could even have them each make their own to put around the house or in their rooms.